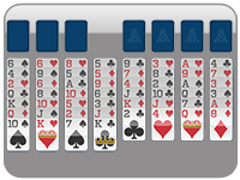 1 Freecell is played just like the classic freecell game. 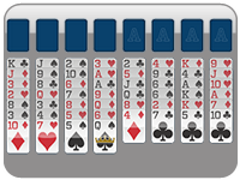 Place cards in the game in columns alternating color and in decreasing order. 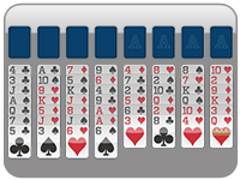 The goal of the game is to get all the cards into the upper four slots according to suit, in ascending order. 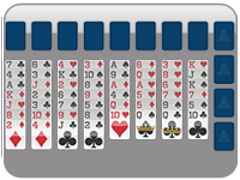 Freecell games all use an open cell to help move cards around in the game. 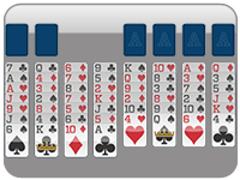 One Freecell only has one of these open cells though, so play wisely! Can you beat the ultimate free cell game? 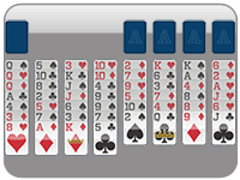 Try your hand at 247 Freecell's 1 Freecell! Instead of 4 open cells, play with only one free cell! 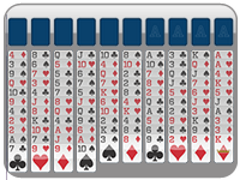 One Freecell is played just like classic freecell but with a twist!